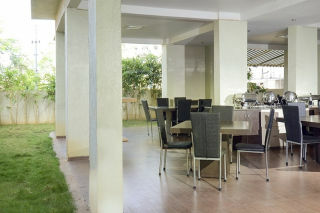 This is a well-appointed three-bedroom apartment that is furnished comfortably and has a sit-out terrace overlooking a lush green garden. 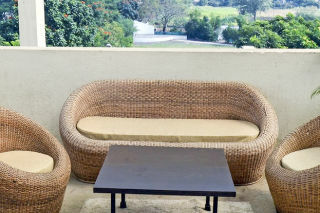 The living room is furnished with a combination of cane sofas and two groups of four-seater tables. 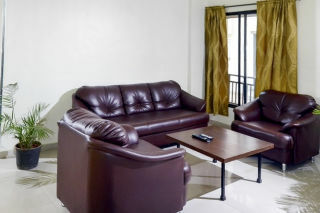 On another side of the house there are comfortable leatherite sofas. Potted palms and the combination of apple green and cream on the walls adds cheer. 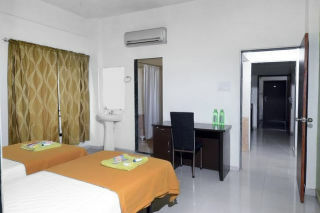 The bedrooms are furnished simply with no compromise on cleanliness. 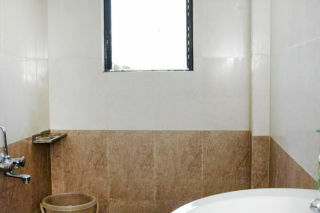 Bathrooms are fully tiled and modern. 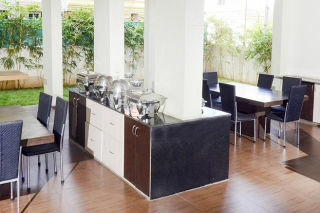 A fully functional kitchen with appliances and basic crockery is also part of this offering. 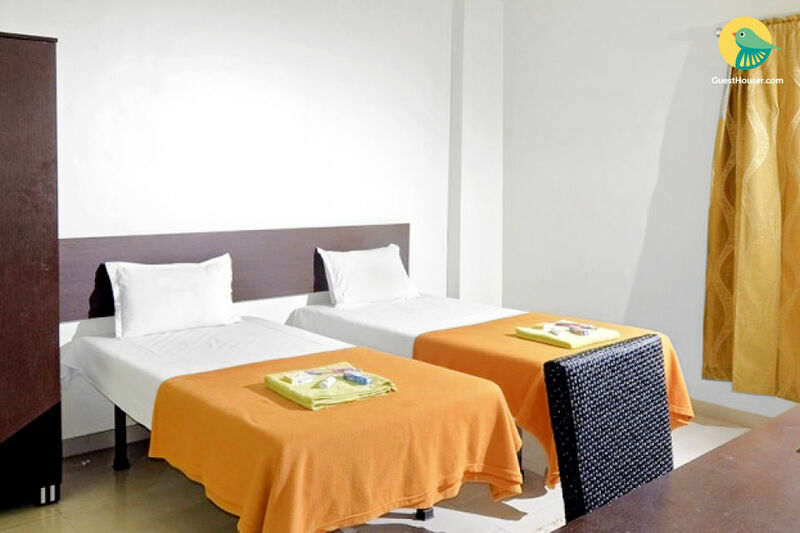 There is an in-house restaurant to cater your dining needs.The menu is fixed.There is a well-equipped kitchen also for self-cooking.There are various restaurants available at a walking distance from the property. Housekeeping is available on the property. Cleaning is done on daily basis. Linen is changed on regular basis. Room service is available in case of any maintenance issues. Laundry facility is on extra charges. Free parking available. Travel assistance. 24 hours hot and cold running water.wifi is available. Pick up and drop off on request. 5.2 km(approx) from the New C B S Bus Stand.